Looking for a new coffee shop and roastery to check out? Look no further than this new arrival. 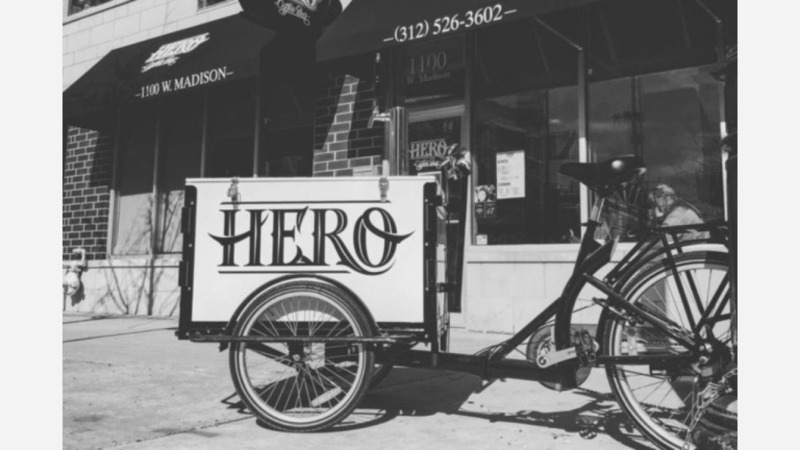 Called Hero Coffee Bar, the new arrival is located at 1100 W. Madison St. (near Aberdeen St.) in the West Loop. The local coffee roaster has multiple locations across Chicago and offers light cafe fare and signature drinks, such as honey nut and lavender lattes. There are also signature sandwiches available, including "The Usual Suspect," a bagel with bacon, egg and cream cheese, and the "Two Timer Sandwich" with double smoked bacon, pancetta and Boston Bibb lettuce. The new coffee roastery has made a good impression thus far, with a 3.5-star rating out of two reviews on Yelp. JJ O., who was among the first Yelpers to review the new spot on March 8th, said, "Really enjoyed my coffee and breakfast sandwich, baristas were friendly, will definitely come back!" Yelper Derek S. added, "The coffee is decent and priced ok for those who aren't Starbucks fan. They have a few specialty drink options as well. Additionally, Hero has a kombucha on draft, which is unique." Intrigued? Stop in to try it for yourself. Hero Coffee Bar is open weekdays from 6am-6pm, and weekends from 7am-5pm.